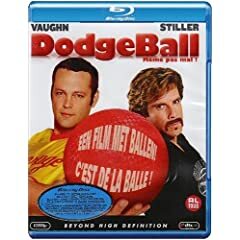 The film “Dodgeball – Même pas mal !” on Blu-Ray, French version. The film is available on this Blu-Ray in English and French. This version of “Dodgeball – Même pas mal ! (French Version)” was released in 2008. 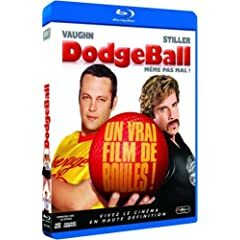 Le film “Dodgeball – Même pas mal !” en Blu-Ray, version française. Le film est disponible en Anglais et Français sur ce Blu-Ray. Cette version de “Dodgeball – Même pas mal ! (French Version)” est sorti en 2008. 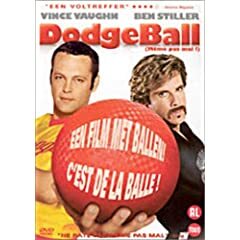 The film “Dodgeball – Même pas mal !” on DVD, French version. The film is available on this DVD in English and French. This version of “Dodgeball – Même pas mal ! (French Version)” was released in 2005. 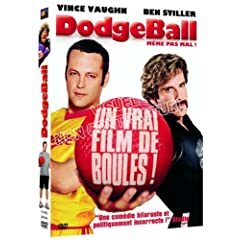 Le film “Dodgeball – Même pas mal !” en DVD, version française. Le film est disponible en Anglais et Français sur ce DVD. Cette version de “Dodgeball – Même pas mal ! (French Version)” est sorti en 2005. The film “Dodgeball” on Blu-Ray, French version. The film is available on this Blu-Ray in English, French and German. This version of “Dodgeball (French Version)” was released in 2008. Le film “Dodgeball” en Blu-Ray, version française. Le film est disponible en Anglais, Français et Allemand sur ce Blu-Ray. Cette version de “Dodgeball (French Version)” est sorti en 2008. The film “Voll auf die Nüsse – DodgeBall (inkl. Comedy-Bonus DVD mit 7 verschiedenen TV-Episoden)” on DVD, German version. The film is available on this DVD in English and German. This version of “Voll auf die Nüsse – DodgeBall (inkl. Comedy-Bonus DVD mit 7 verschiedenen TV-Episoden) (German Version)” was released in 2009. Le film “Voll auf die Nüsse – DodgeBall (inkl. Comedy-Bonus DVD mit 7 verschiedenen TV-Episoden)” en DVD, version Allemande. Le film est disponible en Anglais et Allemand sur ce DVD. Cette version de “Voll auf die Nüsse – DodgeBall (inkl. Comedy-Bonus DVD mit 7 verschiedenen TV-Episoden) (German Version)” est sorti en 2009. 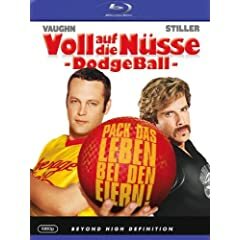 The film “Voll auf die Nüsse – DodgeBall” on Blu-Ray, German version. The film is available on this Blu-Ray in English, French, and German. This version of “Voll auf die Nüsse – DodgeBall (German Version)” was released in 2008. Le film “Voll auf die Nüsse – DodgeBall” en Blu-Ray, version Allemande. Le film est disponible en Anglais, Français et Allemand sur ce Blu-Ray. Cette version de “Voll auf die Nüsse – DodgeBall (German Version)” est sorti en 2008. 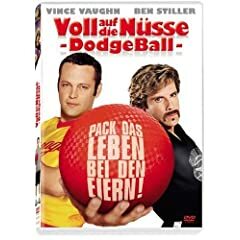 The film “Voll auf die Nüsse – DodgeBall” on DVD, German version. The film is available on this DVD in Englishand German. This version of “Voll auf die Nüsse – DodgeBall (German Version)” was released in 2005. 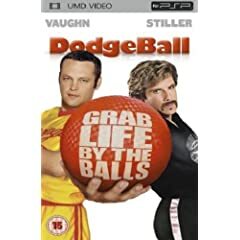 Le film “Voll auf die Nüsse – DodgeBall” en DVD, version Allemande. Le film est disponible en Anglais et Allemand sur ce DVD. Cette version de “Voll auf die Nüsse – DodgeBall (German Version)” est sorti en 2005. The film “Dodgeball” on UMD Mini for PSP, UK version. The film is available on this UMD Mini for PSP in English. This version of “Dodgeball (UK Version)” was released in 2007. Le film “Dodgeball” en UMD Mini for PSP, version anglaise. Le film est disponible en Anglais sur cet UMD Mini for PSP. Cette version de “Dodgeball (UK Version)” est sorti en 2007. The film “Dodgeball – A True Underdog Story” on Blu-Ray, UK version. The film is available on this Blu-Ray in English. 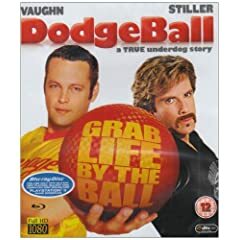 This version of “Dodgeball – A True Underdog Story (UK Version)” was released in 2008. Le film “Dodgeball – A True Underdog Story” en Blu-Ray, version anglaise. Le film est disponible en Anglais sur ce Blu-Ray. Cette version de “Dodgeball – A True Underdog Story (UK Version)” est sorti en 2008. The film “Dodgeball: A True Underdog Story” on DVD, UK version. The film is available on this DVD in English only. This version of “Dodgeball: A True Underdog Story (UK Version)” was released in 2005. Le film “Dodgeball: A True Underdog Story” en DVD, version Anglaise. Le film est disponible en Anglais sur ce DVD. Cette version de “Dodgeball: A True Underdog Story (UK Version)” est sorti en 2005.